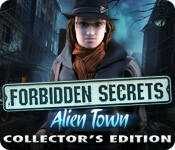 Forbidden Secrets: Alien Town Collector's Edition is rated 4.6 out of 5 by 111. Rated 5 out of 5 by Dahlia2012 from Review of Completed Game I've played this one through twice and love it. It's the perfect description of what a CE should be and you definitely get your money's worth even if you have to pay full price. I've gifted this game too. The artistry and graphics are top notch and all the puzzles are fun to do. I didn't find any of the minis too difficult. The HOGs are great. Nothing is super-easy there and they add more challenge to those by making a few puzzles within puzzles for us. Another great thing about this game is that it flows nicely. You don't get hung up or lost when you have inventory items you don't know how to use yet. The hint button gives you just enough leeway to point you in the right direction but I seldom used it. I didn't notice a lot of back-and-forthing with this game. It's a long involved game and a great way to spend a rainy cold weekend when you don't want to go out. Aliens are also a welcome sight instead of having a game with another mad scientist or ghostly demon. Thanks to the developers! Rated 5 out of 5 by stoneswife from FIRST REVIEW I'M A NEWBIE TO THE WHOLE HO/ ADVENTURE GENRE,BUT I'M LOVING EVERY MINUTE. I THINK THIS GAME IS REALLY GOOD AND KEPT ME INTERESTED TO THE END. IT IS LIKE THE MOVIE THAT CAME OUT MANY DECADES AGO. THE HOS WERE CHALLENGING, I LOVE THE REVERSE ONES WHERE YOU HAVE TO PUT OBJECTS WHERE THEY BELONG.IT HAS 40 MORPHS IN THE CE VERSION;WHICH I'M HOOKED ON, SO I HAVE TO GET THE CE VERSIONS OF MOST OF MY GAMES. I WISH THEY DIDNT CHARGE DOUBLE FOR THEM. ALL IN ALL A FUN GAME FOR ME. Rated 5 out of 5 by neilskinut from just a great fun adventure game Happened across this one and boy is it good. The graphics are great and so is the music. Has voice over. Has a map that really is the best ever. Not that many HOS but the ones they have are good and interactive. The puzzles are good and some challenging. More of an adventure and a good one at that. Not that much running around so when you find an item you use it fast. The collectibles you need to find makes it fun and interesting. Rated 5 out of 5 by abelss from Creepy but Excellent Excellent game all the way You are a detective trying to figure out what is causing a town to be so weird. The adults in the town are all frozen in time while the orphanage kids are not. The kids from the orphanage were dropped off at the orphage as newborns (all 10 of them were dropped off at the same time). The bonus play goes into more detail about who dropped them off there. Graphics were excellent. Plenty of creepy scenes with the kids glowing eyes. Music fit game well. HOS were very good and pretty easy. The scenes were not cluttered which made it easier. There are two types of HOS. One type is the list kind, the other is placing objects where they need to go. Some puzzles were easy, while others were more difficult that took time to complete, but none were impossible. There were also 40 morphing objects you can collect throughout game, one morphing object in each area (40 areas in main game). Majority of them were reletively easy to find, there was a few that took me a little bit of time to find (if you leave area and then come back to area, you might actually find it right away). There was an interactive map which made the game a whole lot easier for navigating to different areas. If the circle in map is green, then there is something you need to do there. If grey, nothing to do. The map also tells you if there is a morphing object to collect. You just click on area you want to go to and you jump there automatically. The bonus play had quite a few areas too. Main game took me approx 4.5-5 hours. Bonus play was a good 1.5 hours. Excellent game. Rated 5 out of 5 by sapoe from wow! I played this one and yes, I have fun and enjoy 'til end! Thanks A**war dev, for making this great game and of course interesting storyline. One of my favorite games I ever played! Love it and good job! I really hope there will be the next sequel as good as this or even better! Rated 5 out of 5 by Polisuco from The truth is out there. More precisely, in Fort Nightingale. Oh boy, these developers did it again. This game was just wonderful on all levels. These devs do extremely well in the "space" genre, so what we have here is a very enthralling storyline with a wonderful development and amazing environment that mends perfectly with the story. Pros: - The graphics are marvellous! They look realistic but not too much, just the way I like it. And they also have the right amount of crisp and are very clear; - The environment is so well made, I found it hard to let go of the game. Fort Nightingale is very well depicted as an abandoned town but you still can sense that something's not right; - The ambient sounds are top notch. The rain falling in the town, the machinery sounds on the spaceship, the birds singing in the Indian reservation all make up for a very captivating and fascinating experience; - The music is nice, too. It doesn't intrude and is eerie, just like it should be; - The storyline is very interesting and very well unfurled through character dialogues, cut-scenes, newspaper articles and the journal. The premise that I was actually going to see the "Moon People" was wonderful and those government conspiracies sub-plot was also great because I love these things and because it was really well made and everything made actual sense overall; - The voice-overs for the "alienated" children was very well made and it sounded very "robotic" which just fitted perfectly and made you feel opressive while around them; - There were just enough hidden objects scenes and I just loved the ones where you had to put items on the scene instead of just looking for them! The objects were easy to spot and the scenes were very crisp and also clear; - The bonus chapter was completely worth it because it had the right length, the story was interesting and it had a mystifying environment! By the end f the bonus chapter, since it told something that had happened before the main game, I totally felt like playing the game again! ; I have no cons whatsoever against this game. This game was, overall, a very special experience and it was definitely a worthwhile one. 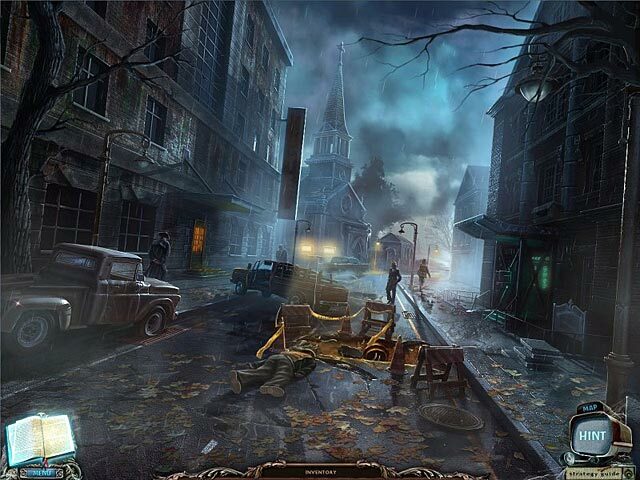 "Alien Town" shows just how deep and engrossing a hidden objects game can be. So much, much more than just a "hidden objects game"! Rated 5 out of 5 by grammakk from great great great LOVE this game so much fun and the story makes sense..yay..got the ce version and so glad i did love the bonus chapter too,had to check out if it was raining the sound was so real and it's 30 degrees here.lol don't miss this one .map was awesome and love the morphing objects and the put item back hogs.will play again..have fun fishies. Rated 5 out of 5 by Seekergirl from Fantastic HO Game! I just played for the free trial and I must say this game is very very impressive! So much to do and so much to find, it definately stimulates the brain! 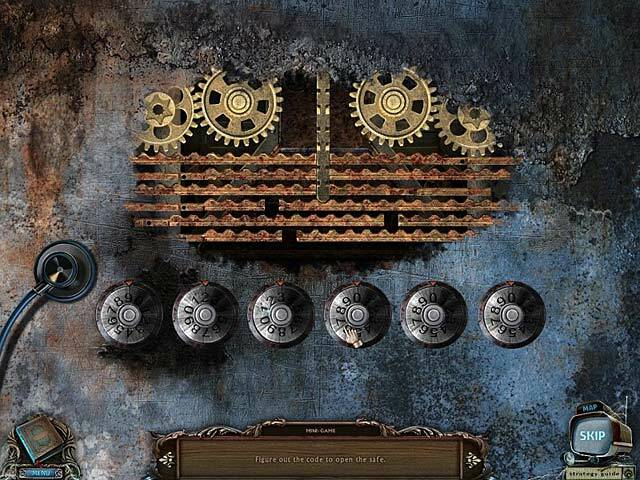 Rated 5 out of 5 by agedog1 from Would like more Games from this developer Great game many different puzzles - and they were not so difficult I had to skip. There is a hidden object in almost each scene and I really enjoyed hunting for it. Hopefully we will have more games from this developer. Rated 5 out of 5 by crazeeone8 from Loved this game I don't write reviews here, usually, but had to on this game. I judge books by their covers (I know that is bad) I was unsure about this game because of the title and general look of "cover." But it was a wonderful surprise, I enjoyed this game tremendously! Definitly worth buying and it was longer than I expected! Rated 5 out of 5 by midnightangel4u from Bravo!!!! I just finished the game and as far as I'm concerned, it was near perfect. The puzzles were a bit too easy but other than that, this is by far the best game I've purchased. Great story line and I loved the fact that people looked wonderful and the VOs were spot on. The HOs were different and I really liked that. It makes for a nice change and a few of them you really have to look hard to spot. Graphics were clear and done to perfection to make the story line even better. There is a map which is great because it allows u to teleport from place to place and gives you locations where there is something for you to do. Without the map, you would spend a lot of time walking and less time playing. If you're looking for a game, don't pass this one up! Rated 5 out of 5 by valeries2 from I bore easily, and I loved this game! The graphics were excellent. There was just the right amount of hidden object scenes and I loved the 2 different types of HOS. I loved, loved, loved the ability to jump to different areas by using the map... I loved it. Most of the games, I have to keep backing out to find the area where I need to be, the map is perfect in this game. The story line kept me interested and the overall game was just wonderful. I wish I could have seen more of what happened at the end, but I suppose it leaves it open for a sequel, which is cool. I'll buy the sequel. 2 thumbs up.. I loved this game!! Rated 5 out of 5 by Mrs_Kim from Almost excellent.. I am a fan of Alawar Games and this one is no exception. The concept of deserted city is not the most original but they combine it with alien and science fiction. I don't really keen with the idea since I don't like sci-fi. The atmosphere of the game is creepy until I found some aliens in it and I kind of lost interest. The game story itself minus the alien is very good, very helpful map and hints, and great voice overs although the characters seem to move very awkwardly. Still, I love this game and I love Alawar but I hope no more alien story in near future! Rated 5 out of 5 by Corte3333 from Unbelievable I am amazed at how designers produce these games. The puzzles were unusual, but not impossible; the HOS were fun and didn't give me a headache. The producers and programmers of this game deserve a standing ovation.Even the sound effects were perfect. Moreover, I did not have to resort to the strategy guide. which is included. Rated 5 out of 5 by kahfess from It Just Doesn’t Get Any Better It’s very rare that I come across a game that is as enjoyable, challenging, well put together and is customizable for those that may want it a little harder. I played on easy mode, because I usually like to enjoy the complete picture and environment of a game. This game had wonderful hints, an interactive map, extra objects that you could find and puzzles that were well developed and thought out, along with beautiful scenery and music. The skip button charged almost immediately for any puzzles that you may choose to skip, and the game play was long. No glitches in the game or the graphics and everything seemed to be named exactly as it was in the hidden object scenes of which there were many, but not to the level of annoyance, more to the level of adding to the enjoyment of this game. I can’t imagine any game being made better, more enjoyable or well scripted. The bonus play in the collector’s edition was equally as wonderful as the main game play. Rated 5 out of 5 by chevyqueen from Almost perfect! I don't very often rate a game. Especially HOGS and adventure games. I have so many of these games and I love them! This game is an especially good one! One of the best games I have ever played! Rated 5 out of 5 by praysinghim from Great game! Great story line, good graphics, edge of my seat don't want it to finish kind of game. Rated 5 out of 5 by sirrap21 from Wise Choice!! After playing the trial version (SE) I just knew I had to have this game! The elements in the storyline are perfect which keeps your interest held for hours of intrige, suspense and fun. I started out on the 'easy' level as some of the scenes are quite challenging. Hidden Object scenes do not lack. The graphics are, as my son would say, SICK. I was never really into alien conspiriacy stories and sci-fi and at first bypassed this game when it was displayed on the homepage, however, I'm glad I gave this a chance. So due to the fact that Big Fish was having one of their 30% off specials and you earn 3 punches on your card when you purchase CE games, I was able to earn my freebie sooner than expected, so thanks Big Fish for the good times! Rated 5 out of 5 by pennmom36 from A well done Hidden Object/Adventure game I am very picky about HOS games but this game had me hooked from the very beginning. I love the eerie vibe of the game, the graphics are realistic and the games were different than most and I never got bored playing this Collector's Edition. The bonus chapter did a nice job of tying it all together. Rated 5 out of 5 by LilyPad99 from Spaceship I always swore I would review the first game set on a spaceship with a five. Liked the game and the creepy children. Next up: First game to literally make me carry around a kitchen sink. Rated 5 out of 5 by villaman from The Perfect Game! At last a game that gets a thumbs up right across the board. Loved it. Huge game with loads to do. You need a good memory (or you can cheat a bit with the map). HOS's and scenes where you add items have just the right amount of challenge. Great graphics. Don't play with sound so don't know about that element. No glitches whatsoever. Even bonus game is good. Best game in weeks. Rated 5 out of 5 by einiespal from Great game A super production and well designed game in every way, artwork, presentation, VO and music. The story is intriguing and is well presented, except at the very end which left me a little unsure as to what happened - maybe I'm slow? The HOS and puzzles are good, with IA HOS as well as put objects back HOS. There is a lot of back and forth, but the IA map lets you get around that. The in-game HINT also works very well. You don't really need the SG. The map even shows where the "beyond" objects are located, although there doesn't seem to be any real reason to collect them. The bonus chapter is a prolog and isn't required to understand the main story unlike some games. I highly recommend this game, but I think the SE would be a better buy. Rated 5 out of 5 by Evenso from Better than the best. I have never written a review before, though there have been other games that I enjoyed. This one was especially good. It made sense, no confusion about where to go next. It had a map so one could easily switch between scenes. Puzzles were challenging but doable. Graphics phenomenal! Rated 5 out of 5 by Torpedo1 from Great Game This game was so fun I lost track of time and was disappointed when my time ran out. It ran smooth. The hint button helped when stuck and the graphics wonderful and play between folks and critters was good. I can hardly wait to buy the game.